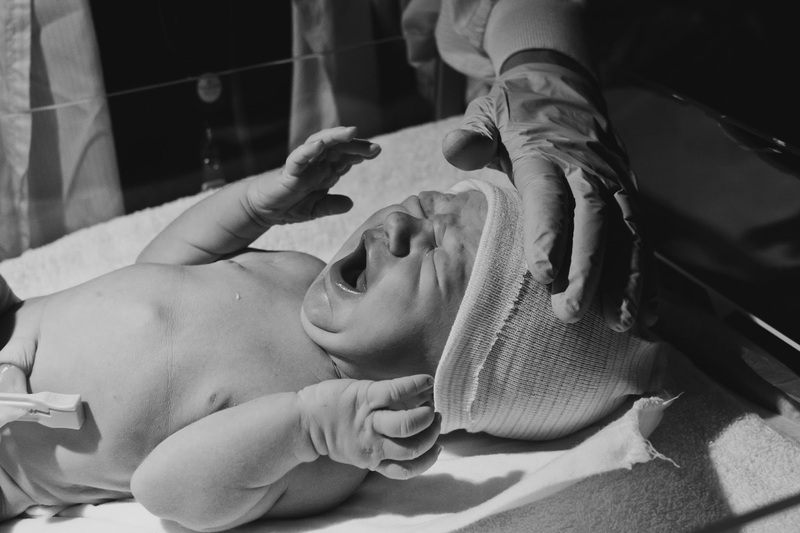 On Saturday, I had the opportunity for a second time to be a birth coach to a friend as she went through the exhausting and exhilarating experience of labor and delivery. Although I’m by no stretch of the imagination an expert after helping with only two deliveries, both of my experiences with coaching and my own experiences of birthing a baby (with my sister acting as coach) have made me realize some key principles that could help anyone who is asked to be there for a birth, especially as a coach or as the co-parent-to-be. 1. To be asked to be present for a birth is one of the highest honors you could ever be extended. Not only is the couple inviting you to participate in one of the most memorable and sacred experiences of their lives, but the mom-to-be is also trusting you enough to be at her absolute most vulnerable with you. Don’t take this honor lightly! I personally offered many a prayer before I was called in so that I would feel inspired as to how best to help the mom and dad to be calm and have a positive experience, and I was definitely offering up many prayers during the experience as well. 2. Understand the stages of labor and birth. In early labor (when a woman’s cervix is dilating from 0-3 cm), the mom-to-be will not usually be experiencing regular contractions or very intense ones (although that can definitely vary from woman to woman). 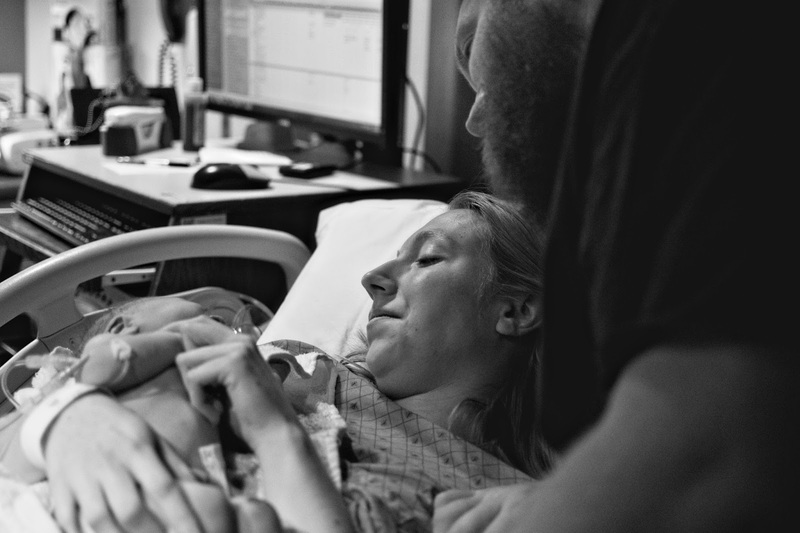 This stage of labor often lasts for days or even weeks and is the easiest to get through. In active labor (when a woman is dilating from 4-7 cm), contractions will often start coming more regularly and will be much more intense than before. Oftentimes, they will start as a cramping sensation or as an intensity/ache that radiates around the back and down, and they will usually start intensifying the closer together they get. During this part of labor, a woman will almost always definitely know she is in labor—she will often have to stop and breathe through the contractions, and movement can become very difficult very quickly as this stage progresses. It is usually in this stage that a woman who is wanting an epidural will receive one. Once a woman has dilated to 10cm, she is ready to start pushing, which can last anywhere from a few minutes to several hours. Often, pushing will last much longer if a woman has had an epidural than if she’s having her baby unmedicated. After the birth of the baby, the placenta will be delivered and the doctor will administer any necessary care, like stitching up tears (if there are any). 3. Respect the birth plan, but be prepared for things to not go as planned. Know when to be flexible and when to help the mom push through. Both of the friends I coached had desires to have an unmedicated childbirth. Both friends had taken hypnobirthing classes and prepared for that outcome (as did I, when I had my daughter). I don’t think any of our labor and delivery experiences went exactly according to our plan. Realize that the mom-to-be (especially if she’s a first-time mom) will probably eventually reach the point in the labor where she will wonder aloud if she can go through with it. This doesn’t automatically mean you should jump in and tell her to get an epidural or other pain relief if that was not in her birth plan. Usually her expressing this fear is a cry for reassurance that she is strong and capable of going through with it and a sign to you that you need to take a more active role from this point on in the delivery. With the birthing experience I just helped out with, the baby’s position was not ideal (the baby was head down but backwards, which is called the baby being posterior). This greatly increases the amount of back pain felt during the labor and will greatly intensify the labor and delivery process. Initially, we had her try a few different positions to see if baby would turn on his own. When her back strain started to become unbearable, we decided to go with a pain medicine that would go through her IV to see if that would be enough to take the edge off. Only when that didn’t work and we’d exhausted all our other options and she firmly decided herself that the epidural was the way she wanted to go did we take that route. The fact is, giving birth is hard, no matter how you do it, especially if you decide to go unmedicated all the way through. If a woman’s desire to have an unmedicated birth is extremely high, then do all that you can to help her achieve that outcome, but also be willing to follow your intuition in the moment if another route might be a better option. It’s a hard line to know, because there were many moments I wondered if I would be able to do it and I was so glad that my sister and husband helped me just keep hanging on and pushing through. For my first birth coaching experience, a little bit of pain medication through the IV was all that was needed to help her push through and continue without an epidural. The fact is, every woman is different and every birthing experience is different. Try your best to be encouraging and supportive of the original birth plan, but know when to change it if necessary. 4. Try to find a method early on that helps the mom-to-be to relax through the contractions. Don’t be scared to be authoritative yet gentle as you help her to focus. As a general rule of thumb, give a very specific instruction that the mom can follow as she feels the surge of the contraction coming on and as she works through the peak of it. *Take your fists, palms, or a pair of tennis balls in a sock and push them against key pressure points (like lower back, side of hips, or right under the knees) during each contraction. It also helps to establish which (if any) of these is the most relieving early on in the labor so you’re not having to constantly ask questions as it gets more intense. *As the contractions get more intense, have the mom look you right in the eyes and just focus on your eyes and nothing else. If she starts to look away or look dazed, redirect her focus to your eyes. (This trick got me through 6 hours of super intense, stalled labor). *If she seems to be stalling a bit in the active labor phase, ask if getting into the tub/shower sounds appealing. Often, the sensation of the warm water against the skin is a great aid to relaxation. Also, if labor has stalled and she’s gone a long time without progressing in the active labor phase, she might want to consider having her doctor break her water, which could help to speed up the process, too. *Standing (if she’s up to it) can often help to speed the labor process along as well, so if there are two of you there, have the mom lean into one of you (basically like she’s hugging you) and have the other person administer pressure to the back as the surges come on. *Sitting on a birthing ball or standing and leaning on her forearms against a (raised) bed/surface is also a good position to try during that middle (active) stage of labor. If the mom has been in the same position for awhile and is starting to lose focus and is less able to relax, sometimes a change of position can be just what she needs. *Often, having the mom make low moaning sounds helps with the relaxation process (and it’s also a great indicator of how relaxed she actually is). As she’s exhaling, instruct her to keep the pitch of her voice as low as possible. Often, if she’s starting to lose focus and panic a bit, the pitch will immediately get higher, and a quick, easy way to bring the anxiety back down again is just to remind her to keep it low. 5. If she’s having an unmedicated birth, tell her to breathe through when she’s pushing the baby out, not to hold her breath (like the nurse will tell her). Holding the breath and pushing puts more strain on several parts of the body and increases the likelihood of tearing during delivery. It’s better to take a deep breath and then push while exhaling. (It can often help to count during the pushing process to get the maximum effect from each contraction. Have the mom take a deep breath and then exhale to ten while pushing. This can be repeated if the contraction is still going.) Have her rest and relax completely between contractions during the pushing stage so that she can save up as much energy as possible for the next surge. 6. If pushing is taking longer than desired/expected, it can be very helpful to have the nurses wheel out a mirror so that the mom can see the progress that’s been made. (I didn’t do this with my own labor and delivery experience, but I plan to do so for any future children.) It can be enormously motivating for the mom to see the baby’s head making progress with each of her pushes and to see how close the baby really is. 7. Even if you’re not a photographer, offer to take pictures anyway (or just grab the camera and start taking some) right when the baby’s born. 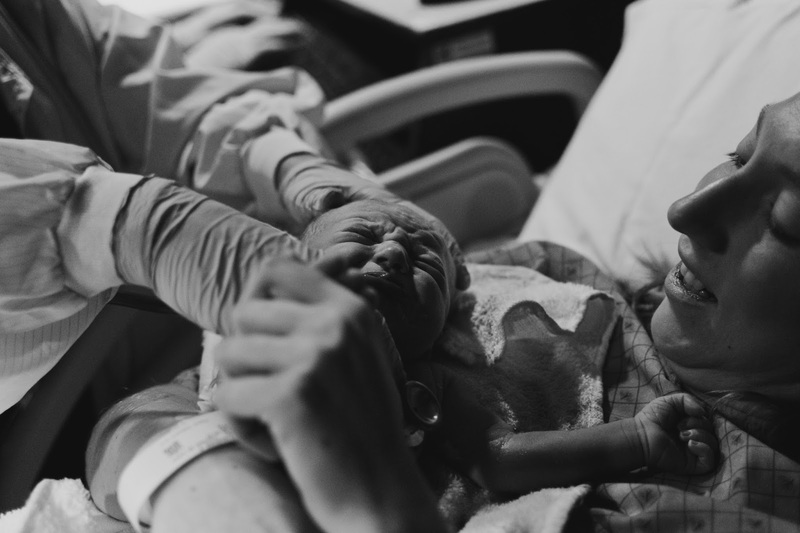 We had brought our camera to the hospital but hadn’t formally asked my sister to take any of the birth, but I’m SO GLAD that she did. 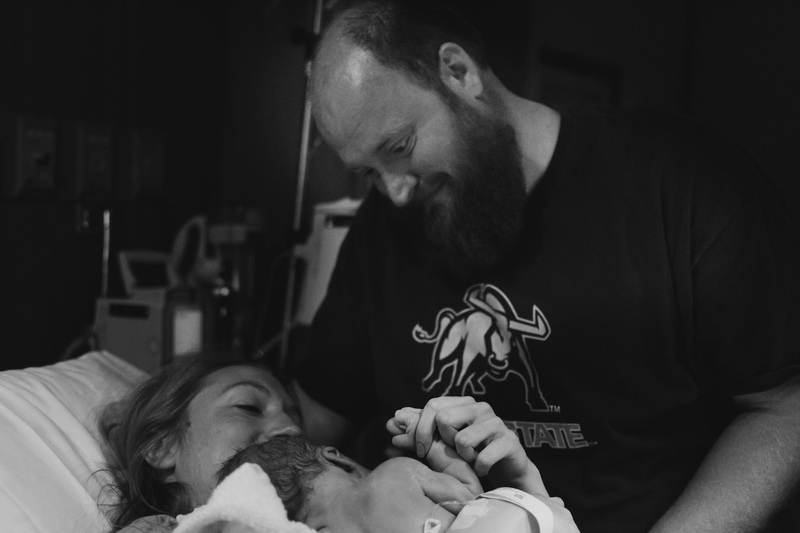 Those pictures of the birth and the moments immediately following are some of my most prized pictures ever, and I’m so grateful that I have them. Try to capture mom’s face right after the baby comes out and is placed on her chest, and try to get a pic of dad cutting the cord (if he chooses to). Don’t forget to get a picture of both parents with the baby, as well as a picture of just the baby’s face. 8. Wait to post any pictures yourself to social media until after the new parents have officially announced it themselves. I made a major faux pas on this one just this weekend, when I accidentally posted a picture I took of the new arrival before his parents had (so sorry, guys!). If I’d really been thinking straight, I would have asked permission first, too (as I wised up and did for this post!). *Eat, drink, and go to the bathroom right at the beginning because it might be a reeeeeeally long time before you get to do any of those things again (especially if the mom is choosing an unmedicated birth). *Wear comfortable clothes and super comfortable shoes. If you’re full-on coaching and helping in the labor and birth process, you might be squatting down and pushing against pressure points or standing for a long time with someone’s weight against you or helping to hold one of mom’s legs during the pushing process. Whatever it is, chances are you’ll be standing for a good long while and doing quite a bit of physical activity as well, so be prepared. *I know nurses and doctors will hate me for saying this, but pack snacks for the mom (and you!). The hospital will only let the mom have clear fluids or a popsicle, but if she’s in labor a long time, her energy might seriously dip if she’s not allowed to eat anything else. For the birth on Saturday, we brought in a smoothie, and it was heartily and happily downed when the mom needed to replenish her flagging energy stores about halfway through. So pack granola bars or yogurt squeezes or fruit pouches because chances are that she could really use them at some point. *Whatever you do, STAY CALM. If the mom sees you panicking or acting unsure, she’ll immediately start second-guessing herself. Know that the absolute best thing you can do for her is to be supportive, to be involved, and to be reassuring. *Be prepared to advocate on behalf of the mom, especially if she’s desiring an unmedicated birth. 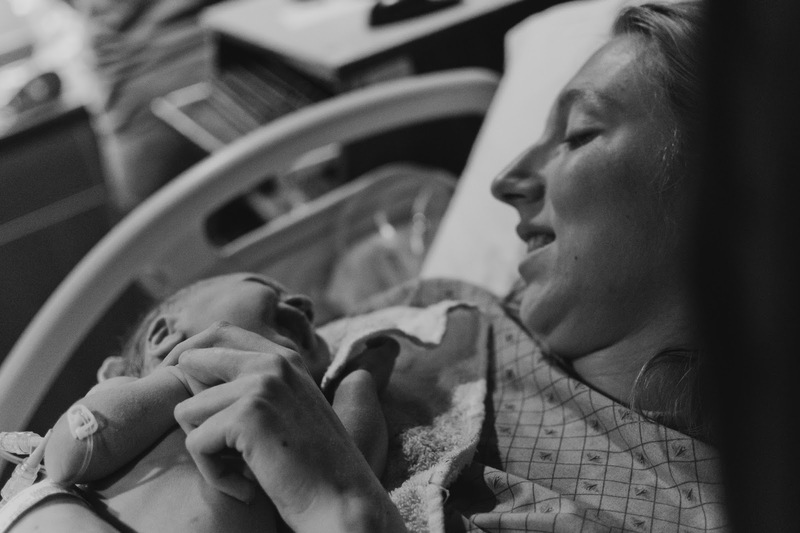 Often, nurses are much more familiar with women having a baby after getting an epidural, so sometimes their instructions to the mom-to-be will run directly contrary to what she has practiced. Don’t be afraid to step in and tell the nurse that the mom has practiced things differently and that she would like to go forward as she has prepared. With all that said, birth is seriously one of the greatest miracles you will ever get to see in your lifetime. Consider it a great privilege to be a part of it! Moms and fellow birth coaches, are there any additional suggestions you would add for potential birth coaches and dads-to-be?